In BluSynergy, you can configure the system to accept payment and generate invoices in 2 different ways. 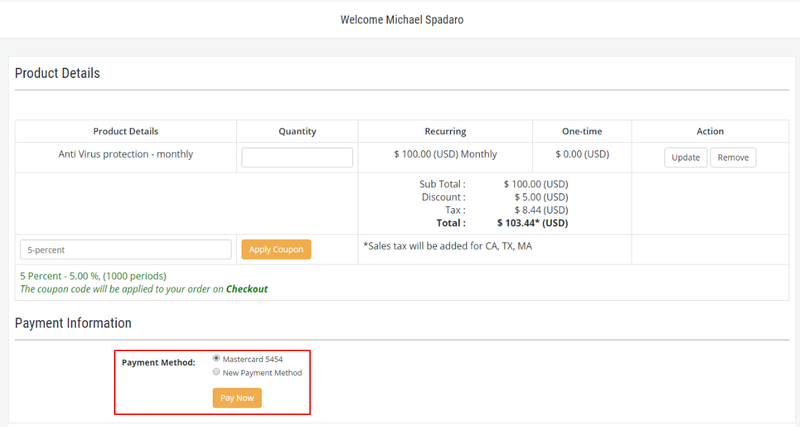 Accept payment after invoice generation: This option will first create the Order and the Invoice in the back end first and then accept the payment from your customer. 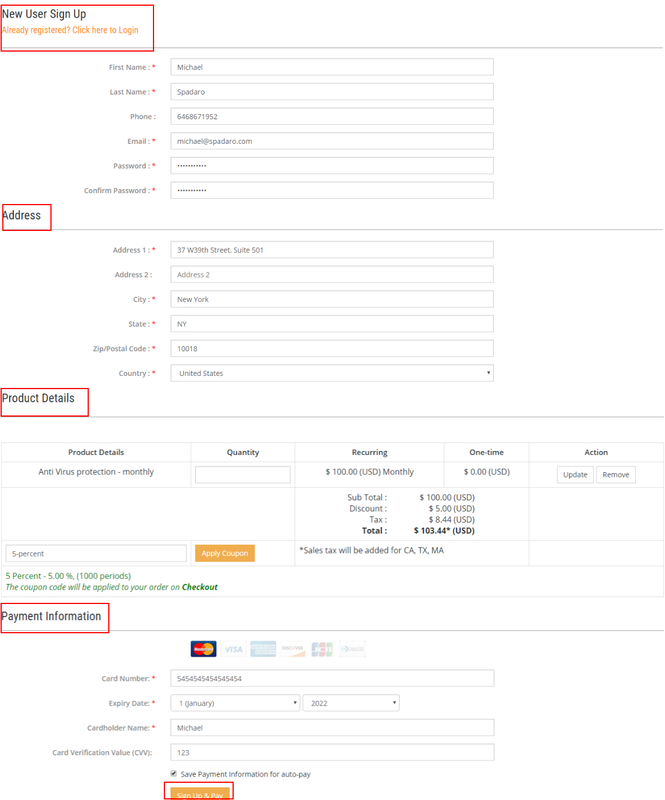 Let us first discuss the flow for accepting payment before invoice generation. Click on the profile you have created. On selecting this, the below behavior in your Shopping Cart module can be observed. 2. 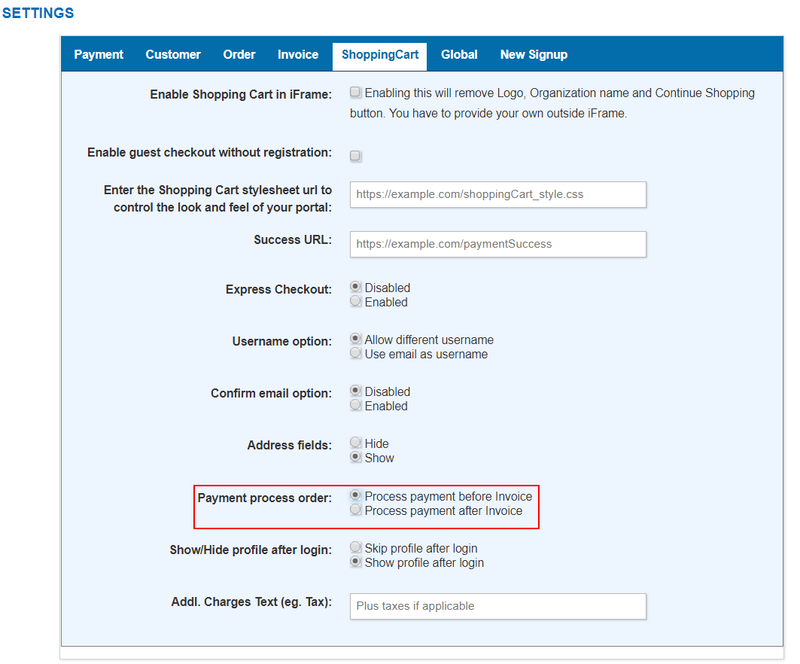 The user will now see the payment confirmation page and on confirmation the payment is processed. 1. The login information is first seen where the user will be required to enter the username and password. 3. The customer will next see the payment confirmation page and upon confirmation, the payment is received. The invoice will now be generated with the order in the system for this payment.